Software piracy and under compliance has been a problem since PCs were invented. Thirty-seven percent of the world’s PCs are running pirated software, according to the 2018 BSA Global Software Survey. Piracy remains a complicated global problem and, with the emergence of the Cloud, it isn’t going away. There’s too much at stake to ignore this problem. Here is the definitive guide on how to address it. 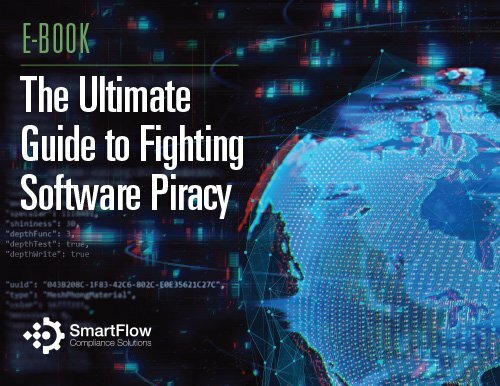 In this e-book the world’s leading license compliance managers, intellectual property experts, and commercial litigation attorneys share their best practices for protecting your software company from piracy and under compliance, as well as remedies for recovering losses once you have identified infringing organizations.